Please visit my new website for my latest information! FLOW Training teaches sustainable exercise, mindful movement and body-based writing to help people listen to and honor their bodies from an inside-out approach. FLOW also helps mothers and those alike attune to themselves through its signature movement and writing class called M-Bodied. Since every day is different and every body is different, FLOW blends healthy alignment and boundaries with listening to the body for guidance and exploration as a grounded-yet-fluid practice. FLOW’s owner Caroline Gebhardt, RYT offers a variety of services including the M-Bodied series, alignment-based yoga, functional resistance training, movement meditations, and body-based writing through private sessions, phone, Skype, small groups, and workshops. Caroline Gebhardt, a registered yoga and movement teacher, offers sustainable fitness and mindful movement lessons throughout Atlanta. After a childhood of dance, professional experience in broadcast journalism at CNN, and through her own experience of parenting, she created FLOW Training LLC and began teaching mindful movement with body-based writing utilizing ancient yoga practices, somatic psychology and attachment-influenced movement patterns as a way to help reintegrate mind, body and spirit. She draws from a variety of yoga, movement, writing, and trauma-informed systems. Some of these experiences include a Body of Light immersion of Tantric yoga philosophy and alignment-based hatha yoga, a Grounded Kids yoga training teaching mindfulness and yoga to children and adolescents, and ongoing trauma-informed and somatic-based pyschoeducational studies. Caroline regularly practices and facilitates free-form movement and yoga classes in her community. She is a member of the American Dance Therapy Association and is on the advisory council for Atlanta’s Eating Disorders Information Network. Caroline has an M.S. in Clinical Mental Health Counseling from Georgia State University and completed her internship at the Atlanta Center for Eating Disorders. 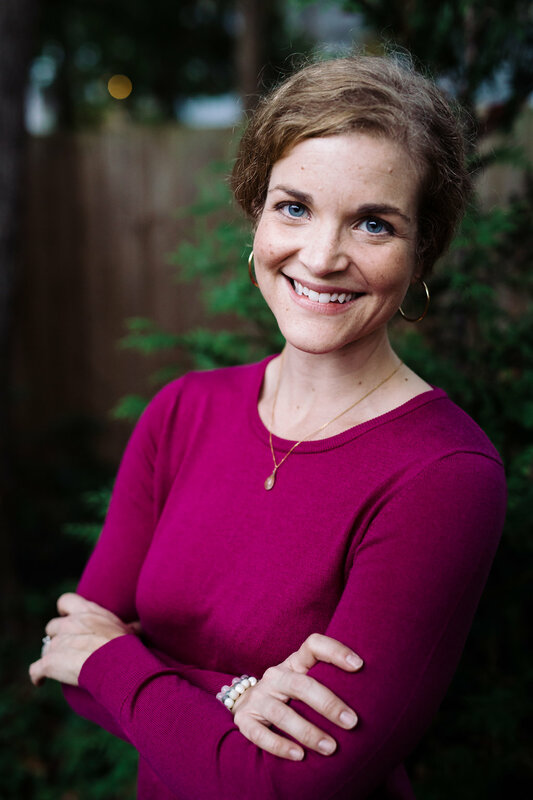 She recently presented at both the Southeastern Eating Disorders conference (August ’17) and the International Association for Eating Disorders Professionals symposium (March ’18) teaching ways to help clients develop a reparative, mindful relationship with the body and self through attachment-based and developmental movement methods. She plans to practice body-based psychotherapy and will be offering mental health counseling in private practice.